Let’s face it! Many of us dance and prance through the Christmas season from the end of Halloween to New Years Day! We plan and we decorate; we can’t get enough. Then that fateful Christmas morning and the last present is opened and the wind is immediately sucked away from your sails! You start thinking about the fact that Christmas …….is …….over. Yes we know it’s not all about the gifts but something about there not being another gift to watch your loved ones open is a hard reminder that all this build up and anticipation has met its end. You start thinking about taking down all of the decorations and it’s so daunting! For those of us depressed by this moment I offer you Christmas Transition Decorating! No, this isn’t a “thing” but we can make it one! The whole purpose of Christmas Transition decorating is to slowly part with the season vs ripping it all down while in a pool of sadness on January 1st! For the most part, on the late evening of Christmas day or the day after; take down everything but the main tree and the lights outside. Slowly pack up indoor wreaths and Santa’s and basically anything red and green. 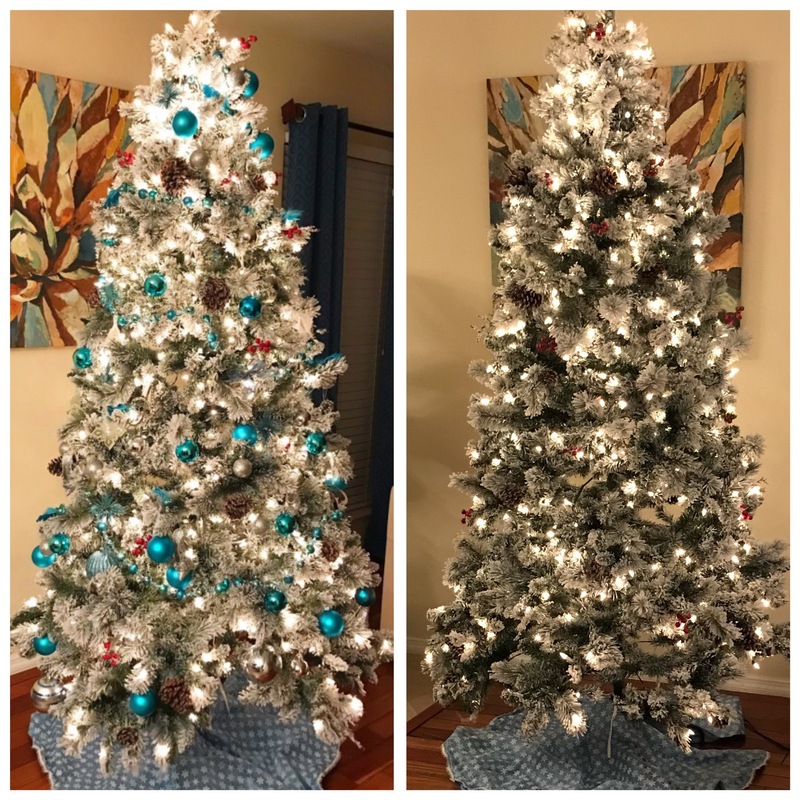 Leave the tree up but remove all ornaments except for lights! A tree with nothing but lights is still festive but more sparky and clean for a New Years Eve look! 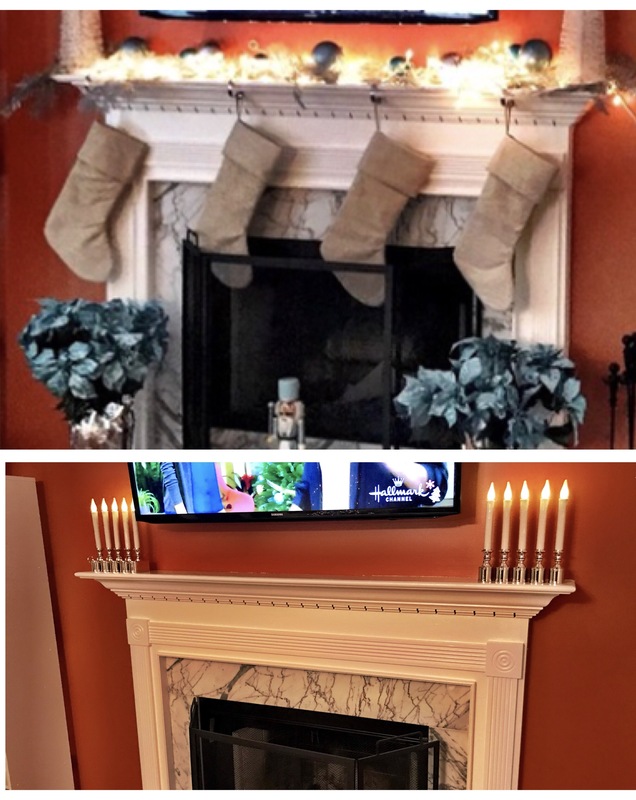 Take all of the garland and angels from the fireplace mantle and replace them with white or silver candles or candelabras like these battery operated ones we thrifted! 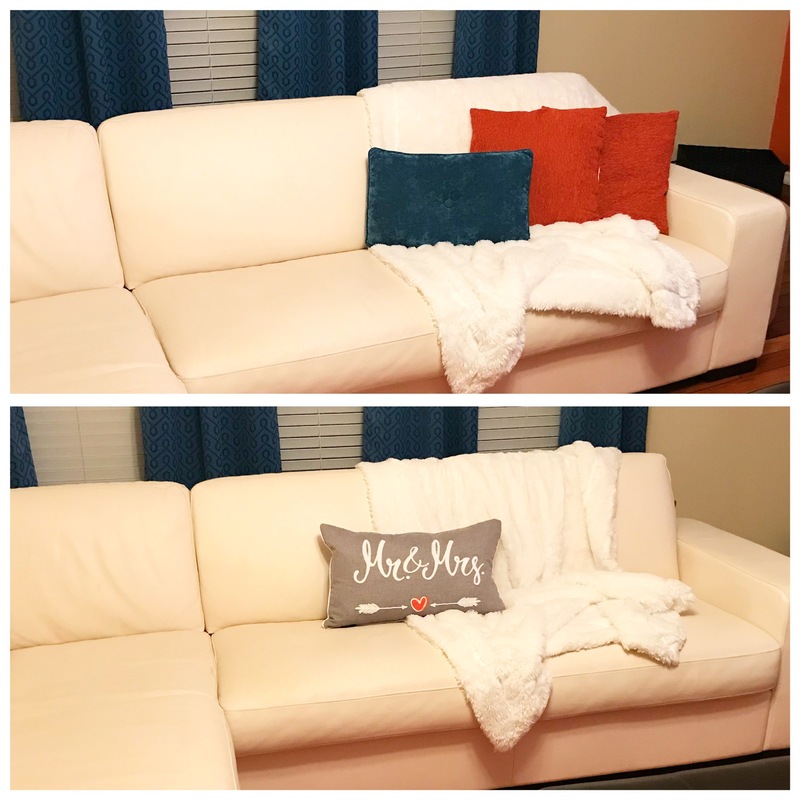 Remove festive pillows and replace with silver, gray or white ones! 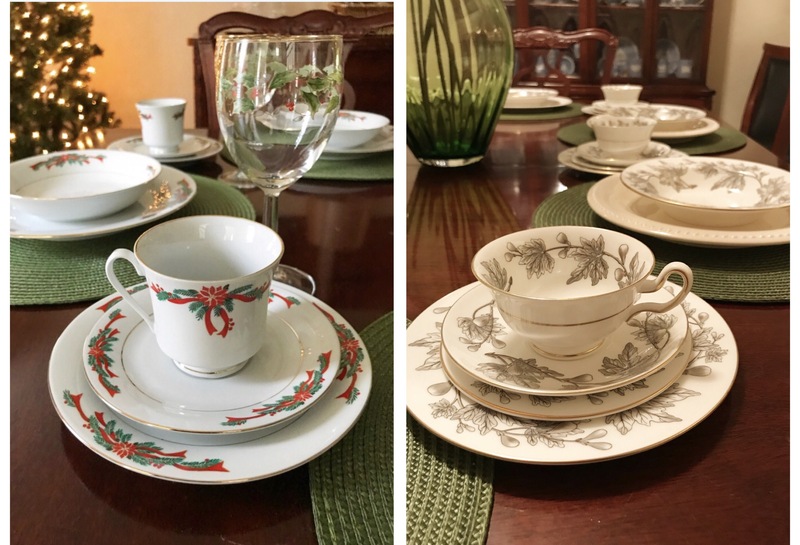 Remove the holiday china and replace with equally fancy pieces but in cool gray or pale blue tones! 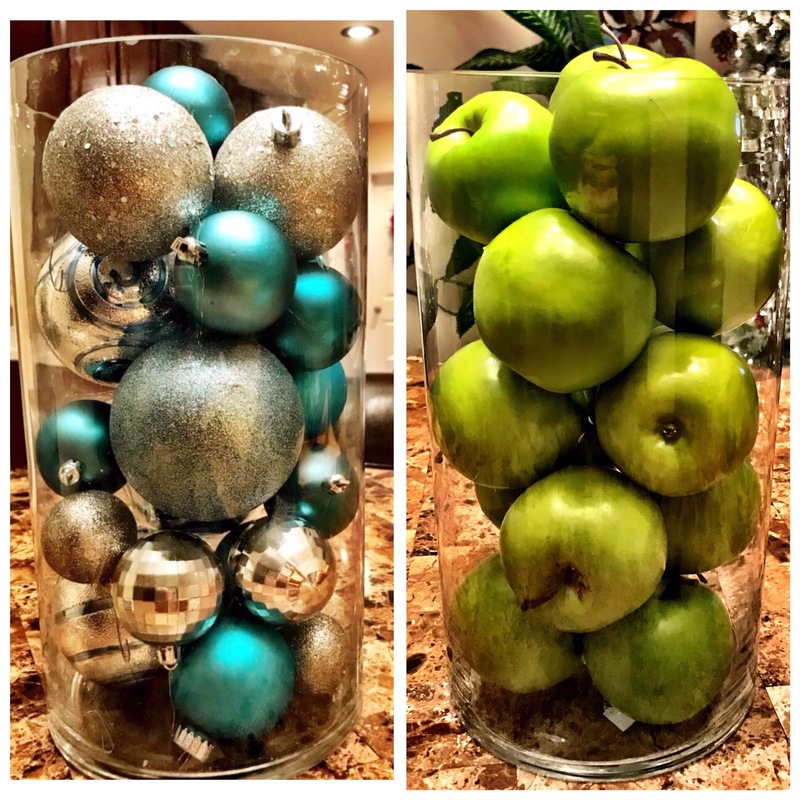 Don’t put away those canisters you filled with glittery balls of holiday magic; filll them with something more subtle like apples! By the time New Year’s Week rolls around you are only taking down one ornament free tree and some candelabras! This is a much softer landing especially for those who suffer from seasonal depression and other dreary feelings that come from the ending of the best holiday ever! Happy vintage hunting my friends! Previous article Someone is counting on your kindness. Next article Fake food anyone?